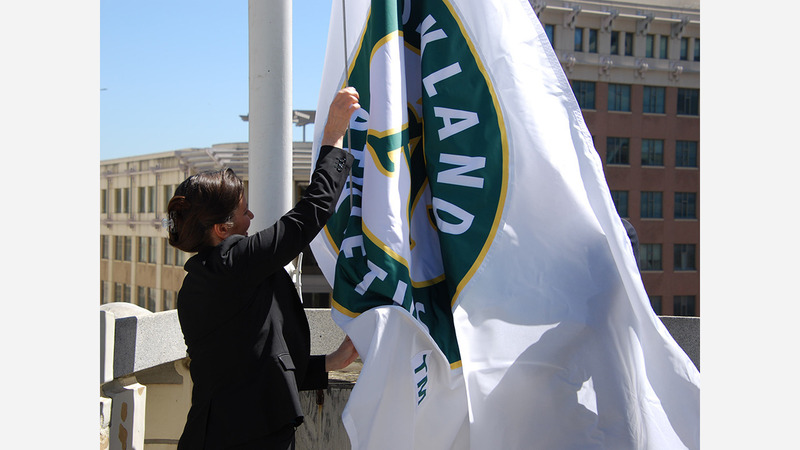 Mayor Libby Schaaf raised the Oakland Athletics' flag over City Hall today as she expressed support for the team's interest in purchasing the Oakland-Alameda County Coliseum complex. 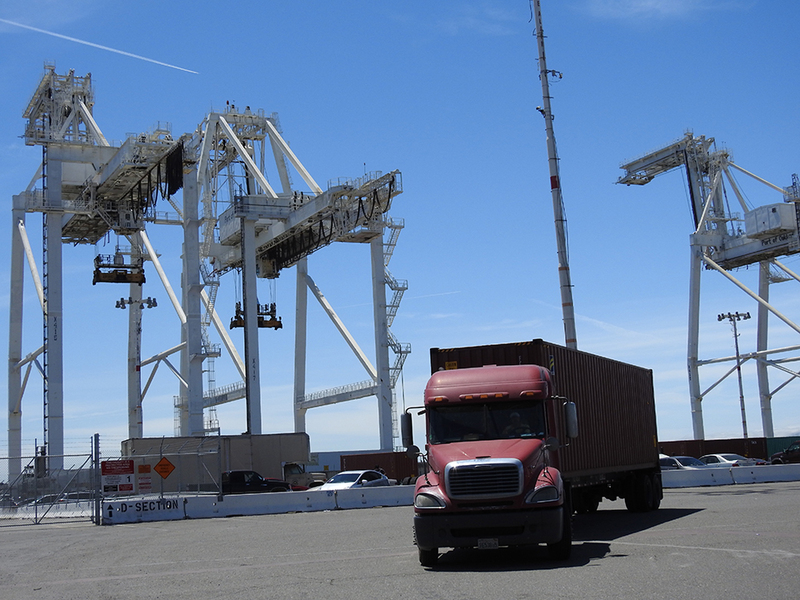 She also asked the Port of Oakland Board of Commissioners to create exclusive negotiating agreements with the A's for Howard Terminal near Jack London Square and Oakland Coliseum, saying that she expects the board to take up the matter at its April 26 meeting. 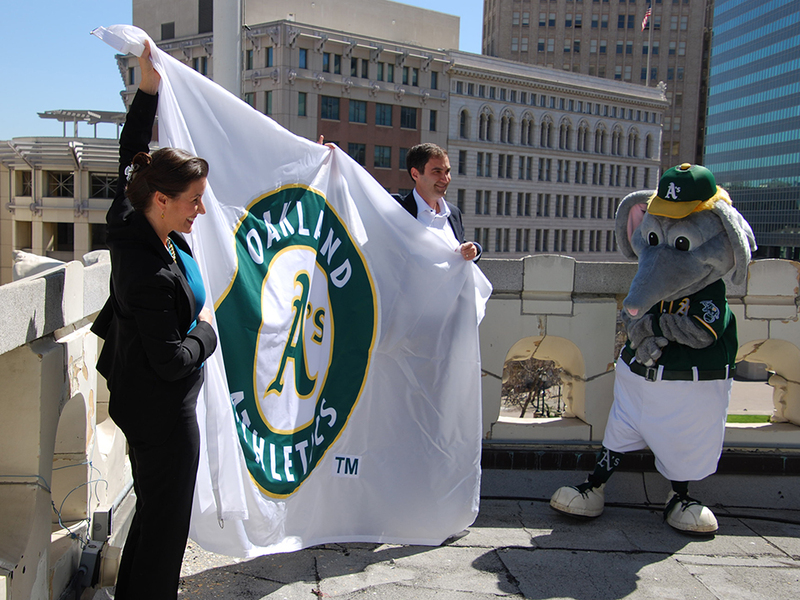 Schaaf joined Oakland A's President Dave Kaval on the roof of City Hall to celebrate the opening of the team's 50th season in the city; on Friday, the A's will take on the Los Angeles Angels at 1:05pm. Oakland Mayor Libby Schaaf, Oakland A's President Dave Kaval and Stomper. "I am so excited to be supporting an exclusive negotiating agreement at both the Coliseum and Howard Terminal so we double our chances of keeping the A's rooted in Oakland," Schaaf said. The A's announced this week that the team is interested in buying Oakland Coliseum but is still exploring the possibility a new ballpark at Howard Terminal. In exchange for the Coliseum site, the A's offered to pay off $136 million in public debt owed from previous renovations to the Coliseum and Oracle Arena, where the Golden State Warriors play. The A's are still interested in building at Howard Terminal. The A's are expected to be the only sports team remaining in Oakland once the Oakland Raiders leave for Las Vegas and the Warriors relocate to San Francisco. Schaaf acknowledged that when the city was negotiating with the Raiders, the value of the Coliseum site was estimated at $150 million or more. The price of the land would be negotiated, but she said she would seek a fair value for the land. The A's have been working to get a new ballpark built in Oakland since 2016, when Kaval was hired as team president. The team initially focused on three sites: the Coliseum, Howard Terminal, and the Peralta Community College District offices near Laney College. 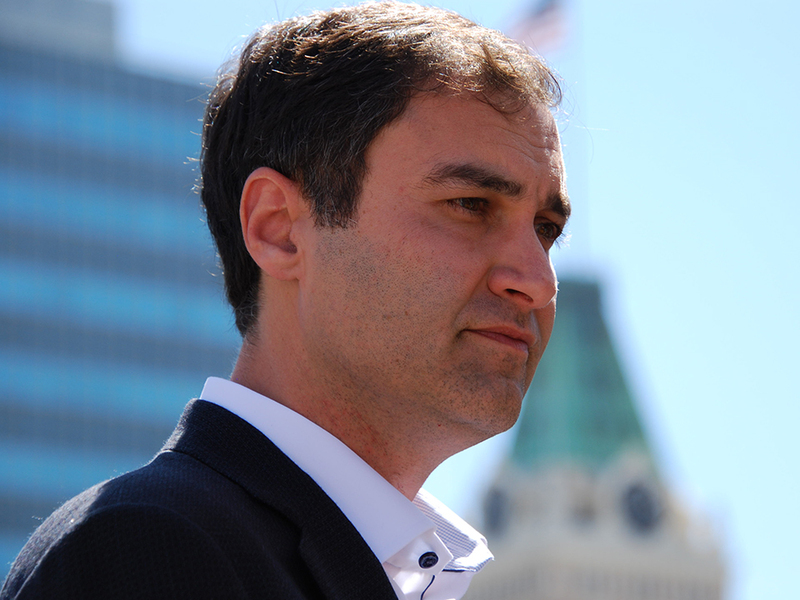 Oakland A's President Dave Kaval. In September 2017, the A's announced their interest in building at the Peralta site, but the college district's Board of Trustees shut down discussion of that possibility in December. "With the setback at Peralta in December, I think it's important to have options," Kaval said today. Wherever it builds, he said the team intends to include other development along with a stadium that could include restaurants, housing and retail, creating a "ballpark district." To build a new stadium by the team's 2023 target date, Kaval said an economic agreement would need to be in place by the end of this year. "This process is taking too long, we need to get going," he said. Schaaf said she'd prefer to site the new ballpark at Howard Terminal, but added that she'd support any project that's responsible to Oakland taxpayers.